Doctor Kouroche Amini is a well-known and respected Swiss Plastic Surgeon, who was born and raised in Geneva, Switzerland. He has always had the desire to be become a Plastic Surgeon and help others. He studied and completed his Medical Degree from the University of Geneva with Honors in September 1999; which was immediately followed by two years of training in the Department of General Surgery in Neuchâtel, Switzerland. After he completed a two-year residency in Orthopedic and Surgical Emergency in Nyon, Switzerland. During this four years in both Neuchâtel and Nyon Doctor Amini was the head Surgeon of Wounds and Cicatrization of the Hospitals. Afterwards, he integrated the Maxillo-Facial Surgery team at Geneva University Hospital for one year, before being nominated Chief Resident. For 6 months he worked as one of the Chief Residents in the Hand and Wrist Department, then as Chief Resident in charge of the Surgical Emergency Room in Geneva University Hospital (HUG). With this solid surgical background, Dr Kouroche Amini started his Plastic, Reconstructive and Aesthetic residency at CHUV, in Lausanne, in the department of Professor Egloff. He trained for three years to be the Plastic surgeon under the guidance of Professor Egloff and Professor Raffoul. He spent many months in the State-of-the-Art Burn Center at CHUV caring with passion and devotion for burned Patients. During his 3 year-rotation in Lausanne University Hospital, Dr Kouroche Amini was also in charge of the Wounds and Cicatrization field of the Department under Professor Raffoul. 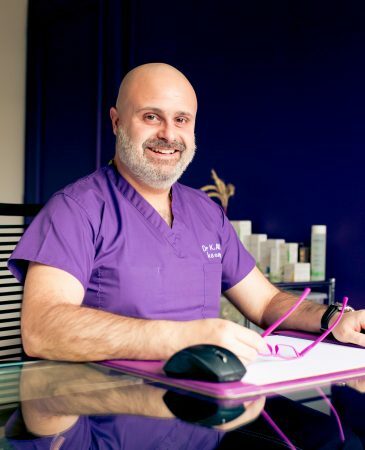 Another area of great interest for Dr Amini during his years at CHUV was in the All-Body Contouring, in both Reconstructive and Aesthetic fields. During his time at the CHUV, Dr Kouroche Amini was offered by Professor Pittet to join his Team in Geneva University Hospital. He spent two fantastic years as an Advanced Plastic, Reconstructive and Aesthetic Surgeon. In Geneva, Doctor Kouroche Amini, taught young surgeons with enthusiasm about new techniques in the fields he was keen to operate in: breasts, both in reconstructive (e.g. after cancer) or aesthetic, body contouring, face (eyelids, ears and lifting), as well as skin and wounds treatments. In late 2010, Doctor Kouroche Amini decided to open his own practice in Geneva. Since February 2011 he has worked as an independent Plastic, Reconstructive and Aesthetic Surgeon at Chemin de Beau-Soleil 12 in Champel, Geneva. His years of education, training and experience in the art and science of plastic surgery, allows Dr. Amini to tailor his approach to his patients on an individual basis. During his educations and 11 years of working in different hospitals, Dr Amini visited many Colleagues and Peers around the globe in a number of renowned centers in the US, Australia, and across Europe. Doctor Kouroche Amini is certified in plastic, reconstructive and aesthetic surgery from both European (EPOBRAS) and Swiss (FMH) Boards. He has been the President of the Geneva Group of Plastic Surgeons since 2012 at the Association des Médecins du Canton de Genève (AMG). He takes part in the Swiss plastic, reconstructive and aesthetic Society as auditor.